This Easter Basket is made out of a gallon milk jug. 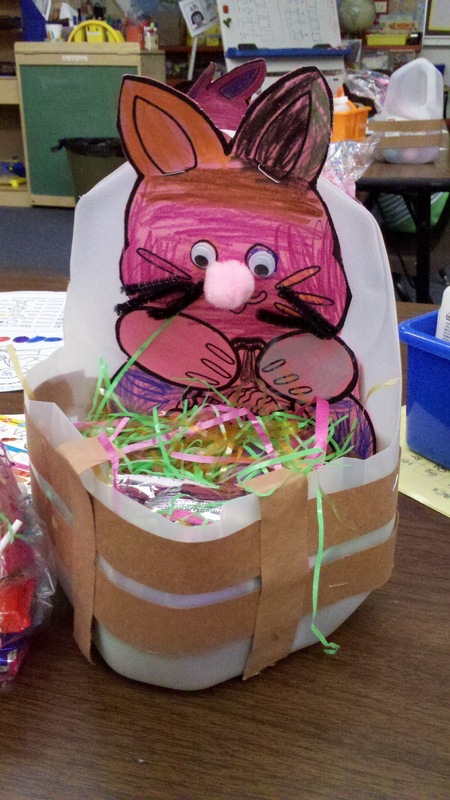 Students decorated the Bunny with pipe cleaners for the whiskers, a fuzzy ball nose and goggly eyes. Kids weaved the fence with brown construction paper. We asked parents to donate one bag of grass and one bag of Easter candy. The Parent Room stuffed the eggs with the candy and taped them shut. Next we put student initials on 10 eggs each. Finally we had a big Easter Egg Hunt on the playground. Kids looked for eggs with their initials but ended up recognizing their friends egg too! In the background you can see a basket from the back view. Kids held the jug by the handle. 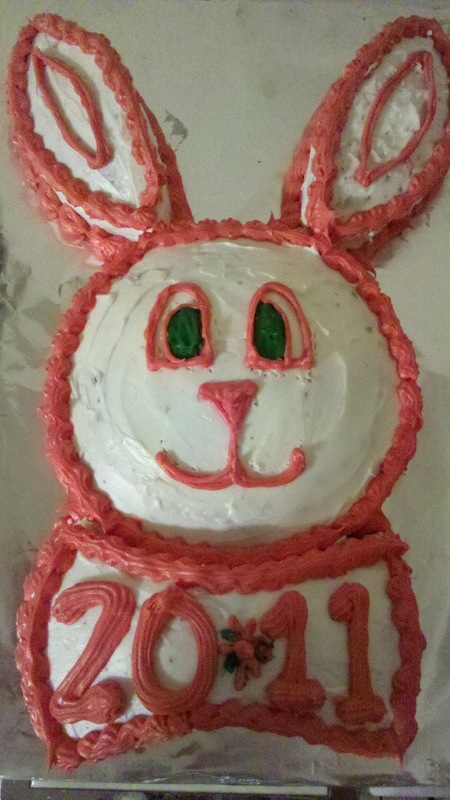 Below is an Easter Bunny Cake made out of 2 round pans.